Lean Six Sigma is an improvement methodology that combines the best of Lean concepts and Six Sigma tools. Lean Six Sigma emphasizes taking advantage of the value generation focus offered by the lean method, while maintaining the statistical rigors of the Six Sigma methodology. Our online courses offer you the opportunity to study 24/7 wherever you are in the world. These intensive on line courses are open to anyone with an interest in the topic and give you access to world-class learning led by 1 Training. You’ll need a computer or tab with an internet connection and it’s better to have a notepad and a pen with you. If you pass the exams successfully then you will be awarded an IASSC Certified Green Belt (ICGB) and Black Belt (ICBB). What skills will I gain? By enrolling to this course, you’ll understand the basics and meanings of Six Sigma. In this course, you’ll learn the general history of Six Sigma & continuous improvement. This course will teach you about Lean Six Sigma five phases. 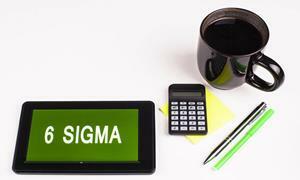 Having this course, you’ll become masters of Six Sigma roles & responsibilities. Logging in to this course, you’ll understand voice of the customer, business and employee. This course gives you the knowledge in problem solving strategies. On completion of this course, you’ll be able to implement Lean tools. At the end of this course, you’ll be able to utilize flexible problem solving techniques and prevent problems before they happen. You will have 12 Months (365 days) access to your online study platform from the date you purchased (enrolled) the course. The course is self-paced so you decide how fast or slow the training goes. Exams are not included in this course package and you need to be booked separately. Fill out your details to find out more about IASSC Lean Six Sigma Green & Black Belt Courses.